This is a foreign exchange guide to Vietnam, the Vietnamese Dong currency plus VND transfers and travel tips. Vietnamese Dong exchange rates - latest & historic exchange rates. What is the Vietnamese Dong currency code and symbol? The three letter currency code for the Vietnamese Dong is VND and the symbol is ₫. Which countries use the Vietnamese Dong? It is the domestic currency in Vietnam. The interactive chart below shows the USD to VND exchange rate for the previous 3 months with rate alerts for days when the exchange rate moved up or down significantly or for 30 day highs and lows. Vietnam is one of my favourite places to visit. Seems more raw than Thailand but with a fraction of the tourists. It is also a wonderfully cheap place to visit. Vietnam has only allowed visitors for the last 20 years or so and it has a bit more of a wild feel to it than other countries in the region. 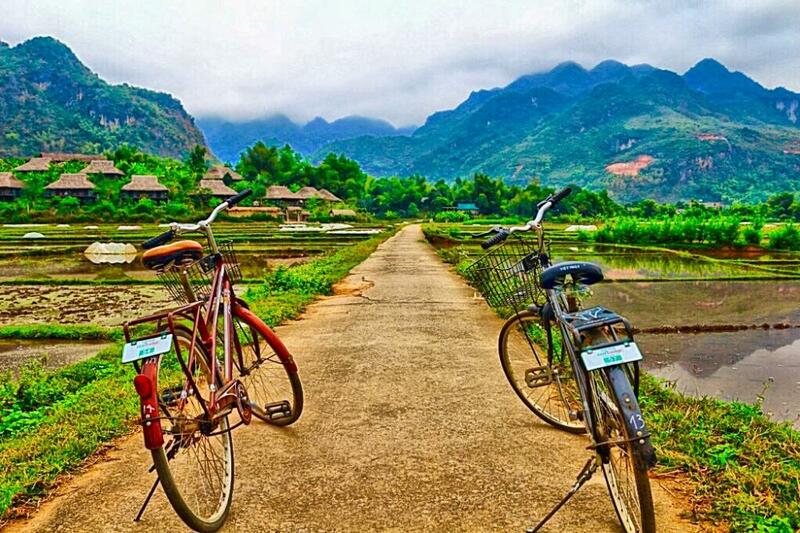 Vietnam's long-held position as a travel icon is more than deserved. In no other country is the collision of Southeast Asia's past, present and future so stark. At times, this clash can seem so confronting and confusing as to send even experienced travellers fleeing for the nearest luxury hotel. However, just a little preparation will set you up for the trip of a lifetime. Can you use US dollars in Vietnam? The local currency is the Dong (VND). Although a handful of places will accept payment in US dollars most people would much prefer to be paid in Dong, so it is important to keep a good supply of local currency while travelling in Vietnam. Some large stores, hotels and restaurants may accept credit cards but most of them will not! Make sure you check beforehand. Firstly, any establishment that allows credit card purchases will generally only accept Visa and MasterCard. Something to keep in mind on the first visit to Vietnam is the Dong comes in polymerized notes with multiple zeroes: VND 10,000 is the smallest bill you'll find on the street these days (coins of as low as VND 200 have long been phased out), with the upper limit hit by the VND 500,000 bill. 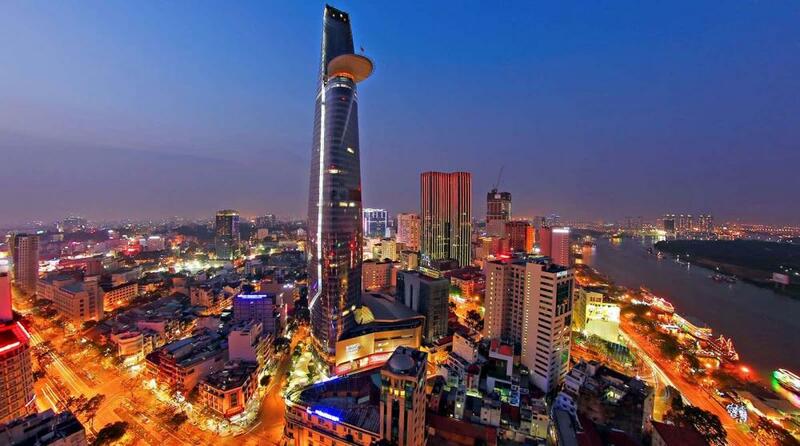 Getting a grip on all those zeroes can be challenging for the first-time visitor to Vietnam. With a little time and practice, buying and spending Vietnamese dong becomes second nature to the Vietnam visitor. Are there many ATMs in Vietnam? Exchange outlets and ATMs are available on arrival at the airport, and I found it easy to find ATMs in all of the main cities. In some of the rural and mountainous areas they may not be available so if you plan to get off the beaten path be prepared to carry some Dong with you. Cash rules in Vietnam, though credit cards are accepted in many restaurants, hotels, and shops in Vietnam's big cities. What is the best way to get around in Vietnam? Getting around Vietnam is usually done by bus or air. Some of the buses are sleeper buses where you are given a cot like bed. This can be very comfortable, even for day trips as you relax back and watch Vietnam's spectacular scenery roll by. Flights are plentiful and can be convenient if short on time, they may be a bit pricey normally however there are often deals on making them much cheaper, sometimes up to half the price. Taxis with meters, found in most major cities, are very cheap by international standards and a safe way to travel around at night. Average tariffs are about 12,000d to 15,000d per kilometre. However, dodgy taxis with go-fast meters do roam the streets of Hanoi and HCMC; they often hang around bus terminals. Only travel with reputable or recommended companies. Spring is a great time to travel in Saigon, Mekong Delta, Hoi An and Hanoi, and Halong Bay. If you choose to go to Halong Bay, stay 2 nights because of the road trip, poor roads, it is a long way to go for 1 night, and you see a lot more in the 2 days. In what is becoming a popular trail, you can travel up or down the coast of Vietnam on a route that includes the main cities and the ancient and enchanting town of Hoi-an, a must see with its traditional buildings and glowing lanterns all along the riverside. 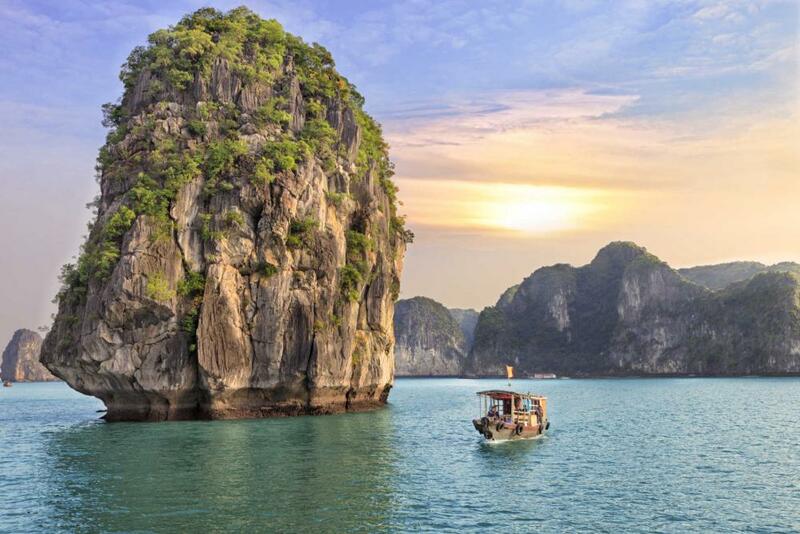 Another must is taking to time to go on a cruise through exotic Halong Bay, one of the most other worldly vistas on the planet. Despite the grumbles of many visitors, Vietnamese people are mostly just as friendly as their Southeast Asian counterparts. However, unlike in Thailand, Cambodia and Laos - where local residents are genuinely curious about who you are and where you’ve come from - Vietnamese people tend to ignore lost-looking foreigners unless you actually ask for help. But be assured that if you ask a local a question with a smile, you'll almost certainly have it answered and the smile returned. Save money and time by Ordering your Vietnamese Dong online from Travelex, you get better rates and can pick up the VND cash locally or even on travel day at the airport. For card purchases if offered a choice of currencies always select to Pay in Vietnamese Dong otherwise you may get much worst exchange rates. Compare VND travel cash rates - probably why you are here! When searching around for information on how to get a good exchange rate when sending money to Vietnam you need to start with finding out the latest Vietnamese Dong foreign-transfer exchange rate. Once your funds are received by the provider the converted VND amount will be transfered to the recipient account you specify in Vietnam. Use our Send to VND calculator to compare the exchange rates of FX specialist providers rates versus your bank's standard rates you can hopefully save around 5% and maybe more - end result is more Vietnamese Dong deposited into the recipient bank account and less margins and fees kept by the banks!